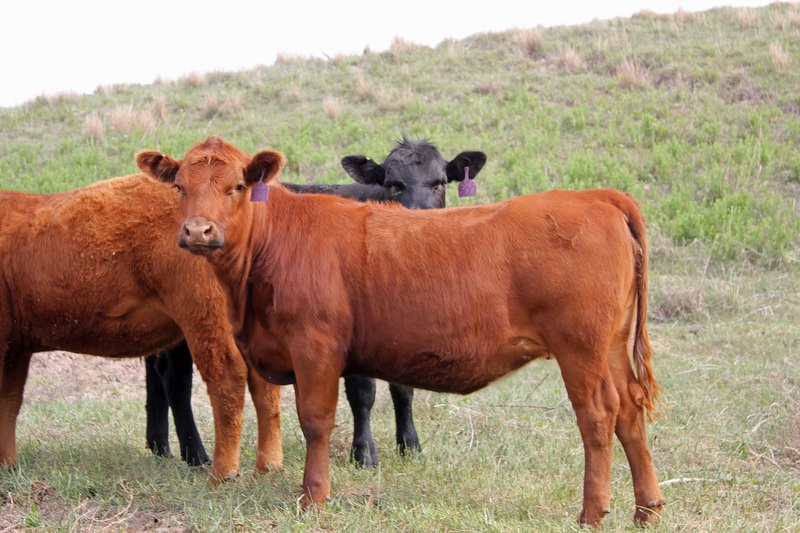 When purchasing replacement heifers many factors should be considered. Photo credit Troy Walz. What is a respectable value to pay for a beef replacement heifer for the coming 2018-2019 production season? Like many decisions, this can be complicated by many factors, but nonetheless, it is important to have a handle on to make the best production and business choices for continued success of the ranching operation. For this reason, the University of Nebraska Beef Economics team has made some preliminary forecasts of heifer values using publically available projected price and costs scenarios. When purchasing replacement heifers, many factors should be considered, listed below are three factors seen by the authors as critically important in selecting, either by retention or by purchase, the appropriate brood cow replacements. Since it is difficult to anticipate and quantify all the possible conditions, types and choices that might occur in the future, five general cost scenarios and three herd types were used to create a total of fifteen different forecasts. Factors left to be considered by the buyers are related to other variables such as genetics and management style. The five different cow costs structures were identified on a per cow basis for the initial 2018/2019 calving season and then adjusted by the FAPRI (Food and Agricultural Policy Research Institute) index. The lowest cost was $600/hd, selected to determine the high mark for replacement cow value. Three Nebraska prices were $621.94/hd for the Sandhills low costs pasture, $762.96/hd for Sandhills midrange costs pasture, and $912.30 for Sandhills high costs pasture. The fifth cost was $685.07/hd and was taken directly from the FAPRI estimates. FAPRI had forecasted costs for each of the ten years listed in their report. The FAPRI costs were used to create an index to adjust the four other initial costs to the appropriate year in the model. Capturing the longevity of any one, particular animal is a difficult proposition at best. Therefore, the idea that the current herd production performance is the best predictor of future performance was adopted for this model. Since longevity is key in valuing any particular animal, a statistical model of life expectancy and productivity was created using the GSL data and three different expected cull rates: the lowest is a 14% cull rate with an average cow age of 5.88 years (older cows), the mid cull rate is 20% with cow age averaging 4.95 years (medium cows), the third cull rate is 28% with cow average age at 4 years (young cows). Table 1. Forecasted breakeven values for replacement cows (2018/2019) production season, by cull rate and initial costs/hd/yr. The scenario where replacement rates and costs are lowest has the highest available replacement value, $1008.94/hd, whereas the highest replacement rate with the highest cost structure has a negative value. This means it wouldn’t be wise to purchase heifers with this cost structure as they would lose money every year these cows were in the herd. Also, notice that those with a higher cull rate lose less because the cow is in the herd for a shorter time frame, thus losing less money per year (-622.87 vs -154.12). Table 2. Dollar decrease in cow replacement value for every 1% increase in cull rate. As the costs of production per calf increases, the amount producers are able to pay for replacements decreases and vice versa. The breakeven value for cow replacements varies depending on cost level. For instance, a 2% decrease (19% to 17%) in replacement rate at the $600 dollar cost is ($24.27 x 2), which would decrease the forecasted cow value by $48.54. At the $912.30 cost, the same 2% decrease in replacement rate would be (-$44.84 x 2), which would indicate you would have a negative decrease, an increase in forecast cow replacement value of $89.68. This last example is somewhat deceiving. A better way to interpret the negative change replacement value is to recognize that it is an indication that short-lived cows lose less money. Buying cows at negative values means someone has to pay you to take them to breakeven, not a formula for success. The relationship between costs and replacement rate is not constant, making production and cost choices critical to consider when paying for replacement cows. As longevity of cow replacements increase, average herd age increases and breakeven values also increase except in high cost scenarios. Low cost, low replacement herds are able to afford higher valued replacement costs. The key to buying higher priced, profitable replacements is based on individual cost structure and herd replacement rate. For a complete analysis, go to https://farmcents.unl.edu/subject-areas. For further information or a more in-depth explanation, the authors refer you to the whole document (https://farmcents.unl.edu/ranch-management) or welcome any questions or comments.